Welcome to our Book Club Page! Our first Book Club selection will be The instant New York Times bestseller from the author of the Newbery Medal book When You Reach Me: a story about spies, games, and friendship. 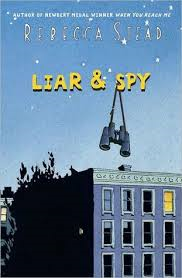 a twelve-year-old self-appointed spy. Georges becomes Safer's first spy recruit.